How good it would be that you could say that: ”I know the person who is behind this honey jar”. It is now possible! Reko from Hikiän introduces protective wearing first before going to meet the bees. 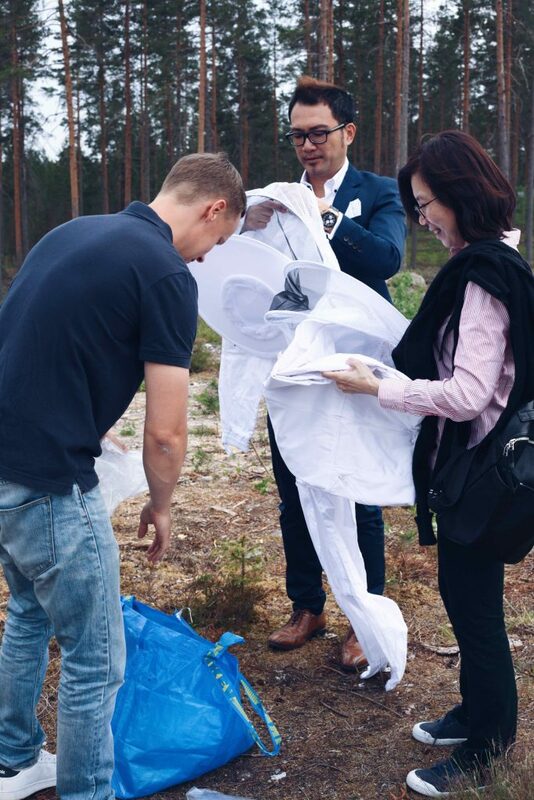 We at Hikiän are proud to say that even you may meet us directors in fares and marketing events you will also find us working with bees. It is our obsession to make things better and provide as pure organic honey as possible. It is truly interesting to work with bees and they are so intelligent that after all these years it still amazes us very often. Checking beehives with Nancy and Daniel from Fabro Healthy Plus, Taiwan. We are open about everything we do and there really are no secrets in our premises. Therefore we are more than happy to show around the farm if somone wishes so. Would you like to see where your honey is coming from? Our Taiwanese distributor Fabro Healthy Plus said yes and they visited our farm lately. By visiting in Hikiän farm the distributor can now understand even better what kind of landscape the farm is located and how peaceful the place is as there are no noise from traffic of any kind. 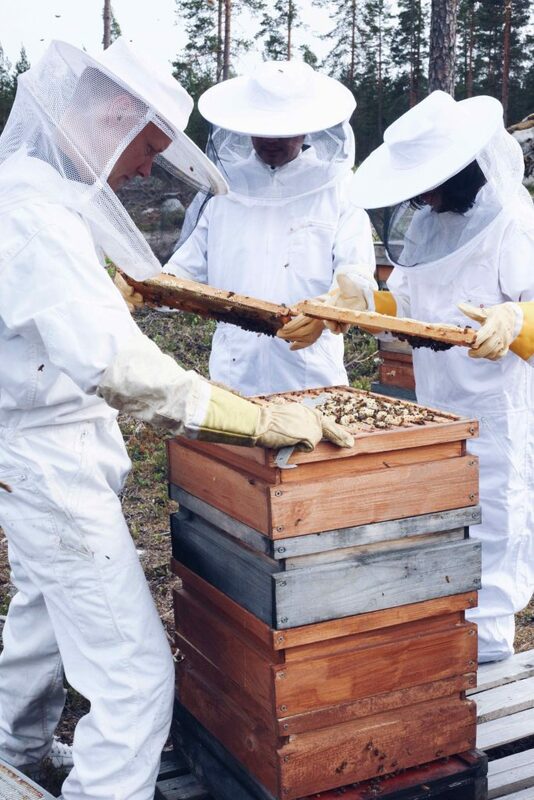 It was also important for them to see how clean the nature is around here and how the bees are treated. Now it is easier to sell the products in their stores when the story and people behind Hikiän are more familiar. We were really happy to host our Taiwanese distributor and wholesaler Fabro Healthy Plus.